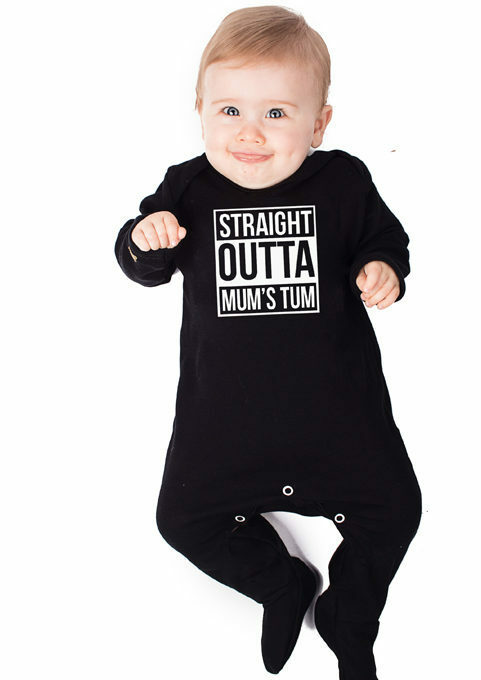 In this cool & funny hip hop baby sleepsuit your cool kid will be representin’, NWA suggsested that parental discretion iz advised but we’ll leave that up to you. 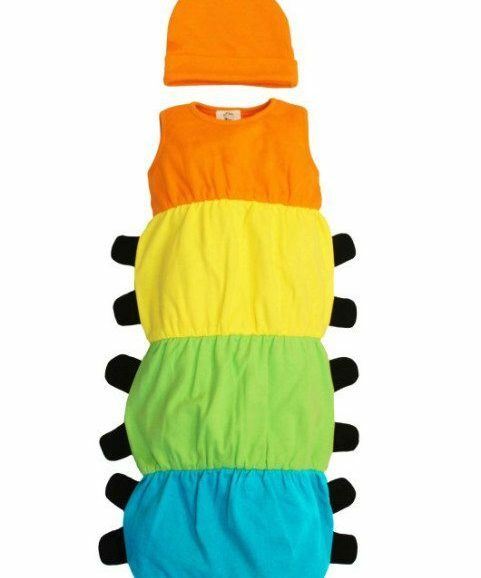 Keep your smallest hip hop family member cool & comfortable in this soft hip hop baby sleepsuit. 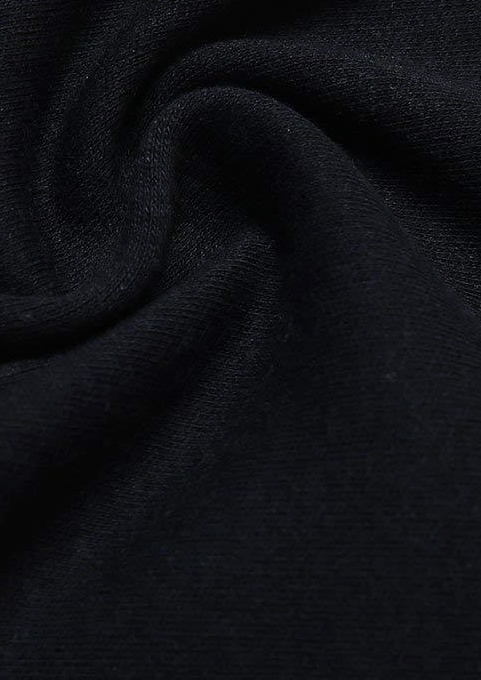 This funny baby outfift packs a punk punch with its funny print. 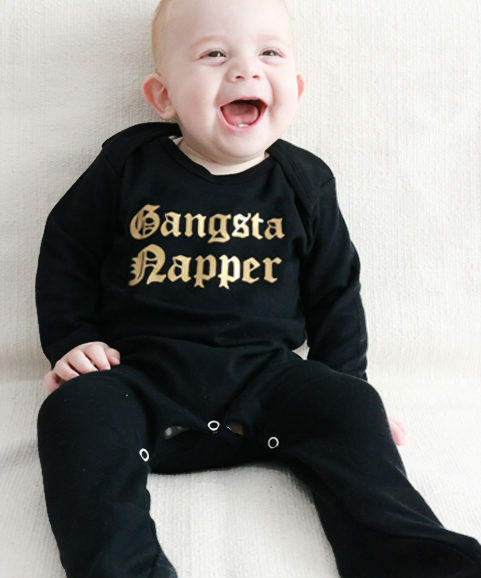 A perfect hip hop baby gift for hip hoppin’ boys & girls.